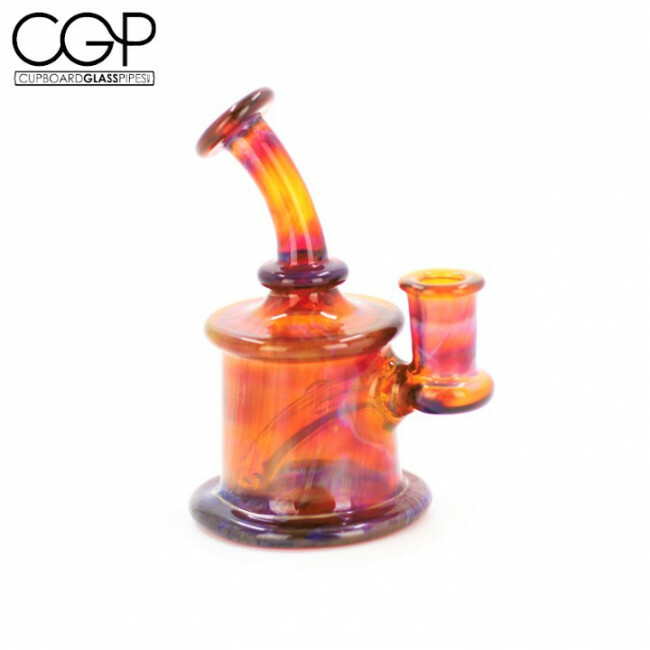 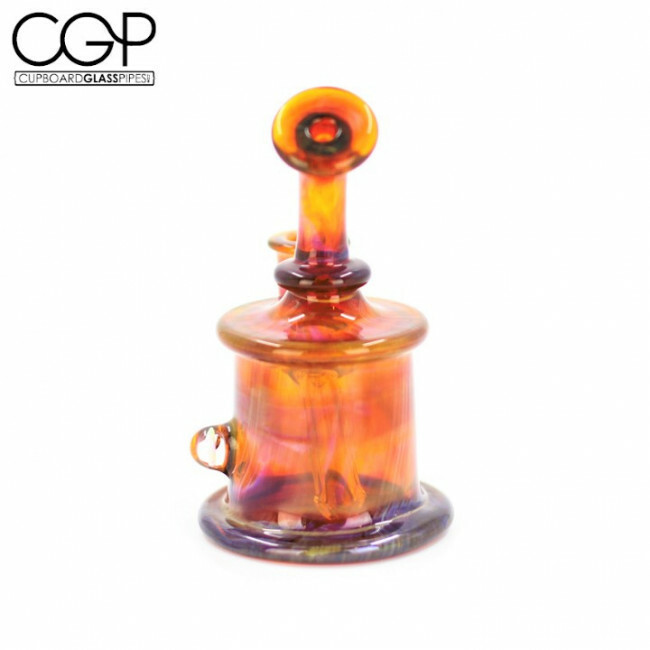 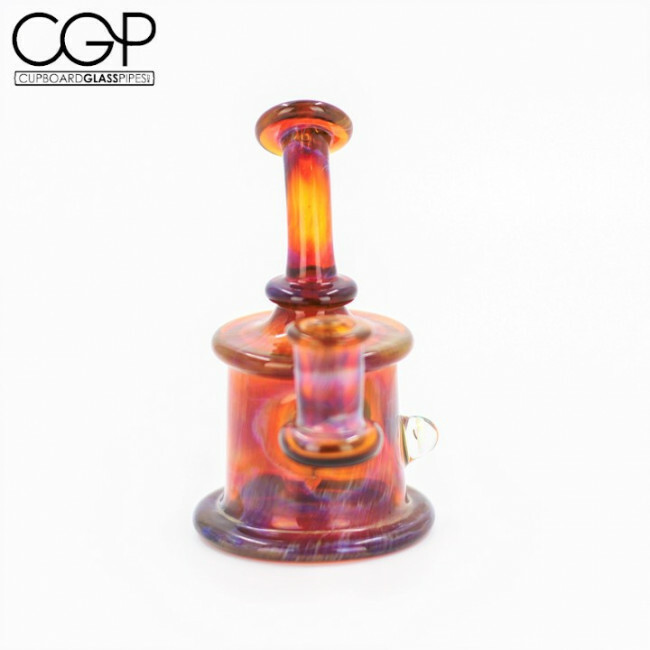 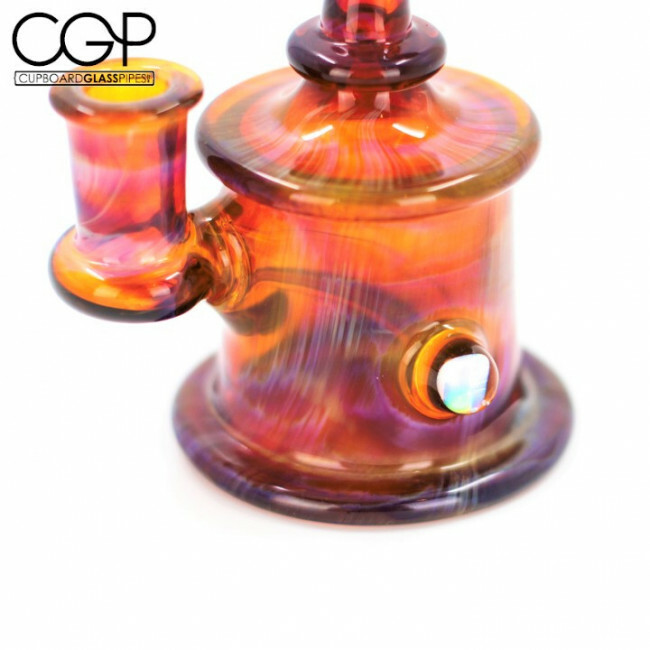 This is one of the first small rigs created by 7ten Glass. 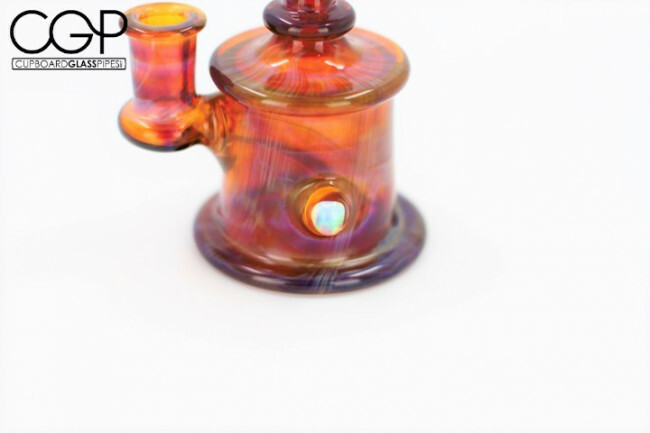 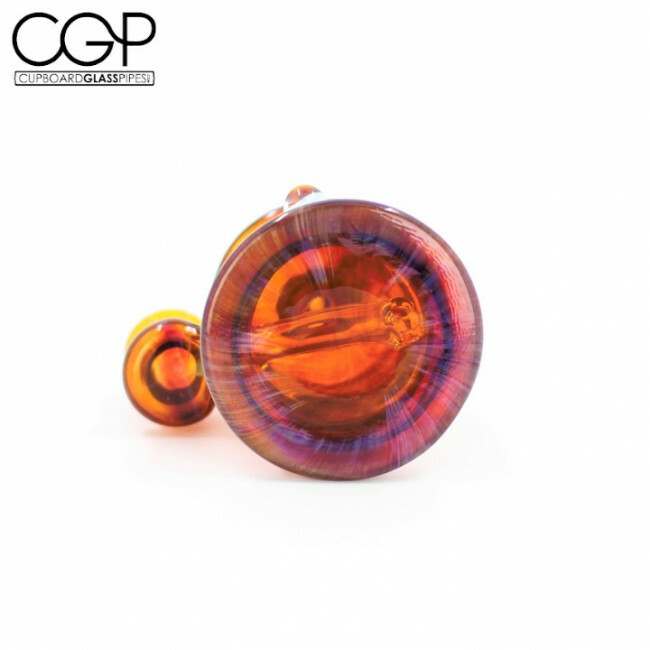 This bad boy is blown with Serendipity glass and features an encased opal and a 10mm female joint. 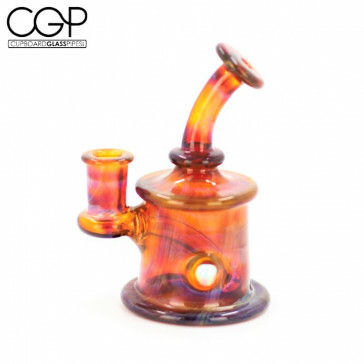 Diameter of base: 2 1/4"